Deal could now result in two historic buildings being relocated. 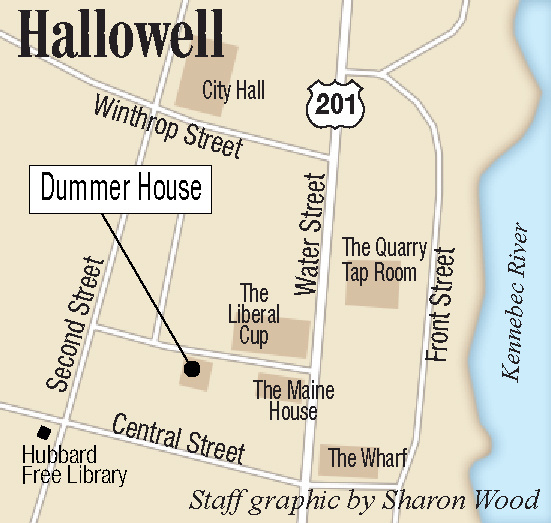 HALLOWELL — City councilors approved a revised agreement to relocate the historic Dummer House to make way for a municipal parking lot, with a new twist that could result in the also-historic Dr. Hubbard Museum going on the move within the same neighborhood, too. Councilors voted 5-2 in a brief meeting Monday night to approve a revised agreement between the city and Linda Bean, owner of the Dummer House property, to move the house to another parcel of land nearby, turning the land where the house sits now over to the city to make room to build a proposed 22-space municipal parking lot in its place. City Manager Nate Rudy said before the vote that Bean has offered to not only move the 1792 Dummer House, but also move the 1833 Dr. Hubbard Museum, though only about 6 feet to the north of its current spot. Bean has previously expressed interest in acquiring the Dr. Hubbard Museum from the city, to create a museum area on that section of Second Street incorporating both the Dummer and Hubbard buildings. But officials decided to keep any future such deal for the Dr. Hubbard building, which was originally on Winthrop Street, separate from the Dummer House deal. So the city still owns the small museum at the corner of Dummer’s Lane and Second Street. Rudy said Bean’s offer to move it, solely at her own cost, makes no mention of ownership of the building. Rudy said Bean wants to move the Hubbard structure, about 6 feet to the north, to provide space for a better layout of the Dummer House, including the addition of an ell to provide a bathroom and welcoming area. He said moving Hubbard would also require a vote by the Planning Board, which is scheduled to consider that proposal from the city Wednesday night. City councilors, who did not debate the new offer from Bean regarding the Dr. Hubbard Museum, voted 5-2 to approve the revised agreement. Ward 5 Councilor Lisa Harvey-McPherson and Ward 3 Councilor Kara Walker voted against the agreement. Harvey-McPherson said the city has spent about $20,000 on the project so far and now is the time to get out of the deal before spending any more. She said the total cost of the project would result in the 22 spaces in the parking lot costing about $15,000 each, which she said is too much. 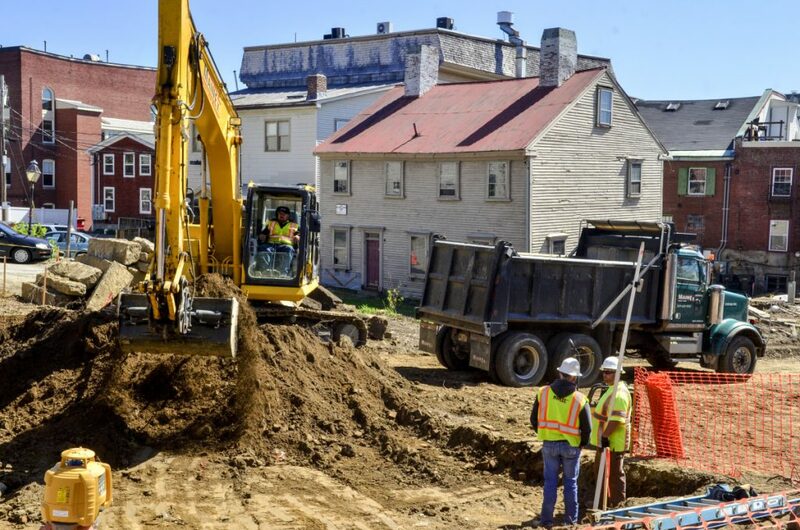 She added that the parking lot, which officials initially hoped to use to help alleviate parking concerns with the ongoing major reconstruction of Water Street, won’t be built in time as the reconstruction project is already underway. The businesswoman Bean, a politically active granddaughter of the founder of L.L. Bean, agreed to relocate the Dummer House, at her expense, to a parcel she owns at the corner of Second and Central streets. Estimated project costs, according to a city estimate, total $317,000 include: $147,000 to acquire the parcel of land from Bean; $81,000 to build the gravel parking lot; $34,000 to put in drainage; $24,000 for legal costs; $8,300 for electrical work; $14,000 to have the project designed; and $3,000 for fencing. The project will be funded by $300,000 voters approved last year, part of a $2.36 million borrowing package. The home is on Dummers Lane, an alley-like lane running between Water Street and Second Street. The proposed parking lot would be built on part of what is now Dummer’s Lane, and on the land where the home has sat. The city plans to discontinue that part of Dummer’s Lane, and trade a section of the land to Geoff Houghton, the owner of buildings on both sides of the alley, in exchange for land to the rear of those buildings the city wants to use as part of the parking lot. City councilors voted, 6-1, with Harvey-McPherson opposed, April 9 to approve the multi-party agreement between the city, Bean, and others involved in the complex deal, and to authorize Rudy to complete the project and close on transactions needed to do so. Walker, who voted for the proposal in April, said she voted against it Monday because the longer debate about it went on, the more she agreed with Harvey-McPherson’s views about it. 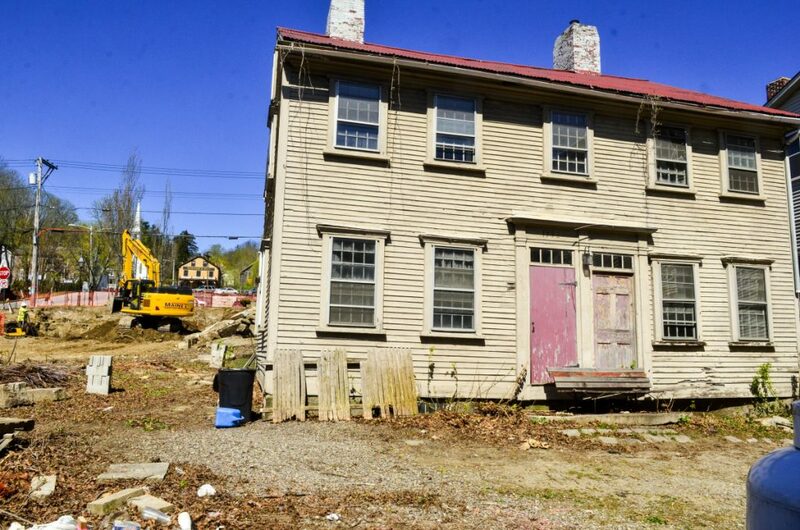 The 18-page agreement notes the 1792 Nathaniel Dummer House is the oldest existing residential building in Hallowell’s historic district. Nathaniel Dummer was a veteran of the American Revolution, Hallowell’s first postmaster and a judge. Dr. John Hubbard, whose former office became the Dr. Hubbard Museum, was the 22nd governor of Maine, from 1850 to 1853.